Disney Casting directors will be holding open tryouts for kids and teens! Every year the Disney company, Disney Channel and Disney XD do an open casting call for new talent. Historically, the event took place in the spring but beginning last year they seem to have moved it into the summer. Today, Disney announced that their annual auditions will be held in the Los Angeles area this July. Los Angeles – Saturday, July 12th 2014. Loews Hollywood Hotel located at 1755 North Highland Avenue, Hollywood, California 90028. All kids who would like to tryout for the network need to be in line and registered by 1PM that day in order to be seen. Registration will be open from 9AM to 1PM. The company holds this event every year and the auditions allow talent from various parts of the United States a chance to come and tryout for Disney Channel casting directors without the need for agency representation or an appointment. There is never a fee to participate and this is the official open call. 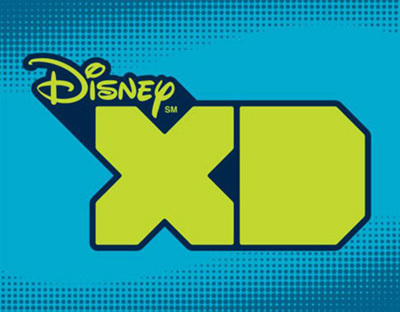 Disney Channel & Disney XD are looking for new and undiscovered talent between the ages of 10 and 17 for consideration of being cast in any of their new shows that are currently in development. This is not for any specific role or project, this is a talent search. Texas has been a popular state for Disney Channel tryouts and in previous years they have held the event in Kansas City, Richmond VA and Austin. This will be the first time in as many years as I can remember that the tryouts will be held on the West Coast. The location and date has not yet been announced but we will keep you updated as soon as it is. The location and date for the 2014 / 2015 tryouts will be announced any day now. Disney Channel is searching for kids and teens who have an interest and hopefully a talent that involves acting, singing and dance. The casting call is part of their effort to find new talent for upcoming shows and series. This is also a good way for people that do not have an agent to get that Disney audition and show off what they got to the casting directors that make the big decisions about who gets cast in their new shows and movies. So, If you want to get discovered… here is your chance! As always, kids cannot go there alone. All kids trying out must come with a parent or guardian. You do not need to have an agent or any kind of representation, but if you do, it is alright and they will see you as well. Expect to have to wait for sometime to be seen. There will be thousands there all waiting for their shot. You will have to register on arrival. You will fill out an application which will serve as your short resume and give casting directors some background on you. Once you arrive and register, you will be given a 1 page application form that will serve as a sort of resume. The application will ask for things like your name, your contact info, your parents contact info, where you live. You will need to write in any experience or special talents you may or may not have (experience is not required). If you have an agent or manager and other background info about you. You will also most likely be given a short script to memorize that you will be using to audition with. You will be waiting for sometime so be sure to come prepared with water, drinks, snacks, etc. Once you are called into the audition, you will have only about 1 minute to impress the powers that be. Yes it’s a very short tryout but they have to see 1000?s of others that same day. So be prepared to dazzle in 30 seconds or less. So, if you know you have the skills, talent and ambition to be the next big breakout Disney Channel star, keep an eye on this page for the location and date details and get ready to wow them. BTW, if you don’t live in L.A., the studio is holding online auditions for their new film Disney’s “The Jungle Book”. I believe you may have a few days left to apply for that project and you can live anywhere because it is being held online through video submissions. If you want to see a sample Disney audition script that was used before as an example of what to expect, click here. Hi I would love to act. I live in Ireland so you probably wouldn’t PIC me. I am 12, 13 in November. I have no action experience or agent hope you PICK me. I also live in Toronto, Canada. Hobbies: acting making people laugh and smile. Ps, I might not get picked but this is my dream and I’m really hardworking on anything that is expected on me. Hobbies: singing, dancing and sports. I love to sing and act. I was in 12 plays. 5 were high school productions and I was one of the 5 elementary kids who got in. I was an extra and I also was a main part. Right now I am in advanced drama and choir. I will be willing to audition online. 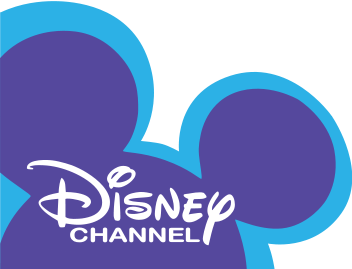 I always wanted to do a show on Disney channel, if you give a chance, I will be willing to take that chance. I would love to be picked. I am thirteen, I have brown hair and eyes. I am 5’6. I am a hardworker. Please consider me. Contact me on my email. Thanks! It’s my dream to be a Disney star, but I live in Ireland 🙁 …My name is Andreea, I’m 13, I was born on 05 October 2001. I live in Wicklow, Ireland. I love reading, singing and acting… I play football. I really want to do this, it has been a dream of mine for as long as I can remember. I have been told that I am great at making people laugh and that I am very funny please help me, I really want this. Hello I’m Amya Whitney Lambert. My Characteristics are that I’m funny, happy easy-going and always positive. The things I’m good at are singing, dancing and drawing. I am from Charlotte, NC and I would love to be on Liv and Maddie or Jessie. I love both of those shows because they both have so much fun but are serious at the same time. Also, they are both funny shows. Hello I would like to be on Disney channel because I have been told I am talented at singing and acting. It has been my passion for years. Please at least tell me where and when it would be held so as I can auditions. thank you. Hey there. My name is Leila Potter. Race: white but very tan. I sing, dance, and act! I would love to act on disney channel. I have A’s and B’s and I have been in many drama classes. I sing and dance also. I am always happy and energetic. I love everything I do. I can always improve.. but I am very talented. I have been in music for a while now, and dancing I’m pretty good at. I write my own songs.. I sing and perform them in front of medium sized crowds. I am also learning how to play the guitar. I love acting. I have watched disney channel ever since I was 4. I really want this and I will never let you down. It has been my dream ever since I was a little girl. I have loved acting my whole life and this could be my chance. I am experienced, thank you for reading! Hope you contact me soon. I love you Disney channel! Hair: short blonde but growing it out. I enjoy playing sports and being active. I consider myself funny and kind. I also consider myself in good shape and fit! My favorite sports are: basketball, track and swimming. I can also play soccer, soft ball, tennis and field hockey! It has been my dream to be on disney channel ever since I was 5 and now I have the courage and knowledge to do this. Please consider me. I took some improv classes a few years ago and my teacher said I was progressing a lot. I am a tomboy but I can dress with style if I need to. I would be happy to do it for disney! I prefer sneakers and socks but I will wear flip flops and sandals. Thank you for taking the time to read this. I am Janayha mccrory. I am 11 years old. I am a awesome girl. I am a great actress and am very out going. Hi my name is keambreia mann and I have been watching a lot of disney channel shows. I like Jessie, Austin and ally and lab rats. I have more but can’t name all of them, please let me be your next star, love disney. I’ve had lots of experience acting. I am going for the school play next year. I am 11 and can sing, dance, and as I said before act. I would love acting for disney. I have seen almost all the movie from Cinderella to Frozen. This has been my dream for too long and this is one of my chances to be on the channel. I have been watching since I was about 2 years old, please except this disney, make my dream come true. By the way, I am 11, 5’9″ and I have an Afro that everyone loves to touch. I’m about 120 pounds, light African American/Canadian and again please make my dream come true. I live in Rochester, New York. Hi my name is Angela. I am 12 years old and live in Toronto, Canada. I have hazel eyes, a chestnut coloured hair with blond tips, and I am 5’3ft. I would love to be part of a new Disney channel or XD series because I love to act and entertain others. I also have a little singing experience. So please consider me for a lead role in any new show you are making! hello, my name is Fabiola and I am 13 years old. I’ve been watching jessie since I was little. I’m in love with the show. My talents are singing, dancing, and I am really flexible. I am 5’3 and wight 95. I have long wavy hair, everyone is in love with it. I have brown/blonde hair and light brown eyes, I am tan and mexican/white. I would love to be the next disney star! Hi my name Victoria Brown. I am a 13 year old light African American girl. I live in Milwaukee, Wisconsin. It is my dream to be a actor and singer. I am 7 years old I look up too Luke and I am a boy. I am strong, I have curly hair, I’ve been watching Jessie since I was five. I hope I get picked. I live in north Carolina in Newport. I really want to meet luke and jessie. Hello everyone and anyone reading this! I am 16 years old and full of ambition. I am an African American male and my talents include : acting (naturally), singing, and if a choreographer is present, dancing. I am very interested in becoming Disney’s next rising star! I am open minded and very focused when it comes to getting the job done. I am also in football, track and field. I am in my school’s choir and I love to portray a diverse range of characters. I live in Rancho Cucamonga, about fifty minutes from Los Angeles. I have a weighted GPA of 4.1 and an un-weighted GPA of 3.9, once again I am very ambitious and focused! My hair is black and my eyes are a very dark brown. I am 5’10 and 179 pounds, Please email me if you are interested! And Thank you for your time and consideration! I’ve really loved disney channel for a long time. I have never been in any drama or musicals but my friends and family have always said follow your dreams. I am 10, I am about 4’9. I am about 100 pounds but I don’t want you to think I am fat at all. I am pretty flexible. I’m in love with Jessie because Zuri and Luke are on it. I am Puerto Rican and black. I would love to be a bff with Zuri if possible. I have a kind of older look like some people thought I was like 11 or 12. My hair is nice when done but when it is done it is very pretty. I like some dolls, I would never pull a dolls head off. I think Jessie is very pretty and Zuri is too. I hope you would consider me as one of your cast or visitors for Jessie. I live in Wausau. I am 16 and have blonde hair and blue eyes. My height is 5’5″ and I am a beginner as an actress. I have experience in plays and have played secondary lead and ensemble roles. I am open to play any role position such as lead, secondary lead, ensemble, etc. I also have experience with singing, dancing and facials. I have had many solos and am going into my third year of show choir (singing, dancing and facials) this august. I have had many solos as an actress and a singer. I would love to be in the production of lab rats. Please consider me to be apart of your show. I haven’t had that much experience but I feel acting is something inside of you that if you try hard to reach with practice can be found it’s about being you and being someone else I think I would be great but do you? Whether I get a part or not I will not give up on my dream.